This 6-week Program is specifically designed for those wanting to reduce and learn how to manage stress and anxiety. It will provide participants the opportunity to learn and practice various methods that have been proven to effectively reduce stress and anxiety. This course integrates key yoga practices, including mindfulness and self-compassion, and it is informed by modern science and recent research findings. The course also draws upon the considerable experience and teachings of internationally recognised Dr Ganesh Mohan, who specialises in integrative health. Breath based relaxed movements to help dissipate nervous energy and calm the nervous system, as well as supported restorative yoga poses that facilitate deep rest, relaxation and the release of long-held tension. Learning safe and effective breathing techniques that activate the parasympathetic nervous system, balance the stress response system, and regulate the mind and emotions. suffer from stress-related illness such as hypertension, Irritable Bowel Syndrome, insomnia etc. ready and willing to take positive steps to enhance their health and well-being​. As part of the course a pre course assessment is given to evaluate your current goals, aspirations and expectations you may have and taken into account your postural alignment and any limitations you may have around movement before course commencement. 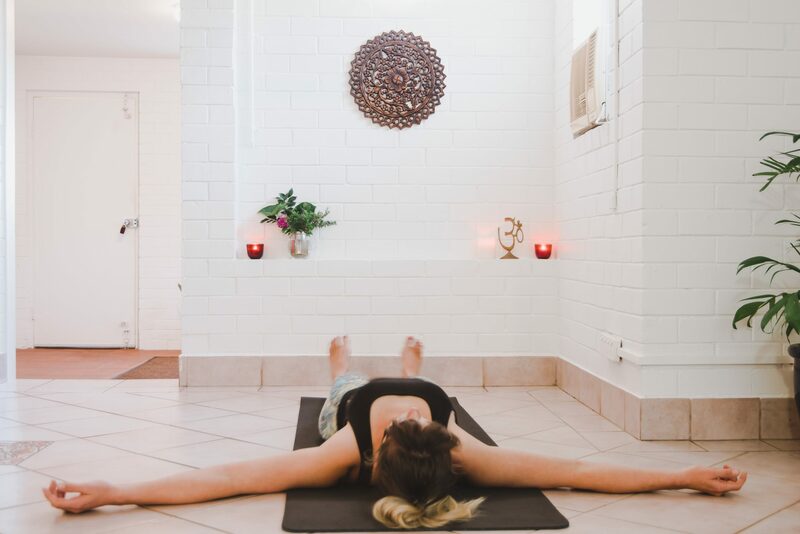 Your teacher Kim Allan is a certified Svastha Yoga teacher and Yoga Therapist with 14 years teaching experience.Kim is a Senior registered teacher with Yoga Australia. Kim holds a Diploma in Svastha Yoga Therapy completed with Dr Ganesh Mohan of Svastha Yoga Ayurveda Chennai who is both a Medical Dr and Ayurvedic Dr. Continued studies with Vina Shah, AG Mohan and Indra Mohan, the founders of Svastha Yoga, on topics such as Pranayama, Yogic Mindfulness and The Yoga Sutras of Patanjali are further inspiration and continued learning on the path. Kim teaches small group svastha yoga classes , Therapeutic Yoga classes and private sessions at the Yoga Therapy and Ayurveda Wellness Centre on the Sunshine Coast.